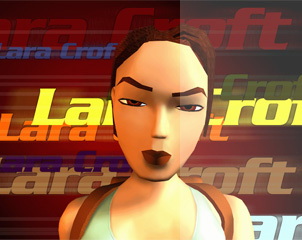 Lara Croft assaults JAVA enabled mobile phones in Elixir Of Life. Tomb Raider: Elixir of Life is the final part of a 3-episode adventure featuring Lara Croft. In the first episode Lara received a commission to retrieve a famous Egyptian work, "The Osiris Codex". She followed this with a trip to an ancient Tibetan monastery to recover a vase containing Cinnabar, a substance used in the creation of life affirming tinctures. Suspicious of her employer�s motives, Lara thinks someone is trying to gather together the ingredients to formulate the fabled Elixir of Life. She may be skeptical of its actual potential, but nonetheless Lara is still reluctant to hand over the artifacts she has recovered. Instead she decides to discover for herself the real intentions of her clandestine employer. Lara�s investigations lead her to the Scottish castle home of a billionaire recluse and inside she discovers a private museum big enough to rival that of any nation. Her suspicions are proved right; the secretive curator�s intentions are far from innocent. Lara Croft must overcome state of the art security systems and an army of lethal defense robots before she can stop the maniac from realizing his plan.